Precaution: If you are suffering from any chronic disease, long-standing illness or from a disorder involving tissue change or degeneration, you should not do acu-point stimulation. Pressure should also not be applies on acu-points before or after 1/2 hour of taking hot water bath or taking your meal. 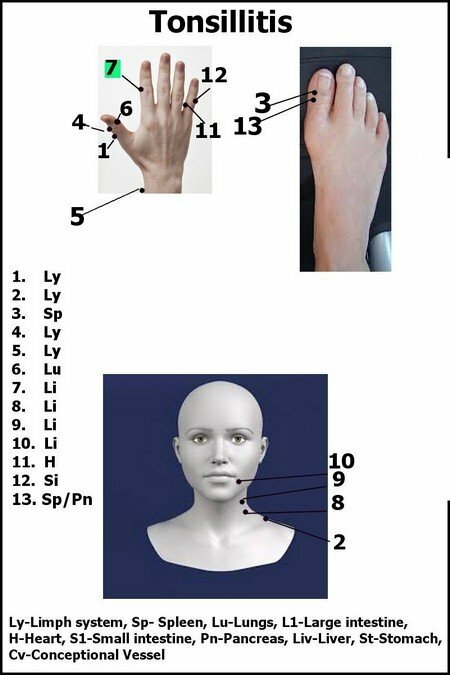 Before treating tonsillitis by stimulating above mentioned accu-point you should see how to do acupressure to cure tonsillitis. Information provided by acupressure specialist Mr.M.R.Monga. He is 85 years old and has vast knowledge of acupressure and treated thousands of people.